Dr. Chang served as Chief Scientific Officer of Stemgent upon the company’s founding in 2008. He was previously the CEO of Multicell Technologies and continues as a director of this company. 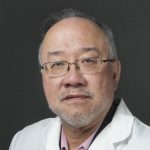 Dr. Chang is president of CURES, a coalition dedicated to ensuring the safety, research, and development of innovative lifesaving medications. He is also a board member of Histogen, Inc., a privately held company in regenerative medicine.